Intensive gunfire and heavy explosions have been heard in the streets of Burundi’s capital Bujumbura according to eye witnesses. This comes after president Nkurunziza said he had ordered troops to arrest those alleging to have deposed him. Meanwhile the head of Burundi’s army has said that an attempted coup had failed and forces loyal to President Pierre Nkurunziza were in control, a day after another general said he had sacked Nkurunziza for seeking an unconstitutional third term in office. This is accprding to reports by Reuters. “The coup attempt failed, loyal forces are still controlling all strategic points,” said Army Chief of Staff General Prime Niyongabo in a statement broadcast on state radio. President Pierre Nkurunziza’s attempt to return to ‪#‎Burundi‬ following reports of a coup on Wednesday evening failed.Nkurunziza has returned to Tanzania where he was attending a summit by East African Heads of state to solve the political crisis in his country. The coup was announced by Maj Gen Godefroid Niyombare on Wednesday which sent citizens into celebrations after several days of unrest. 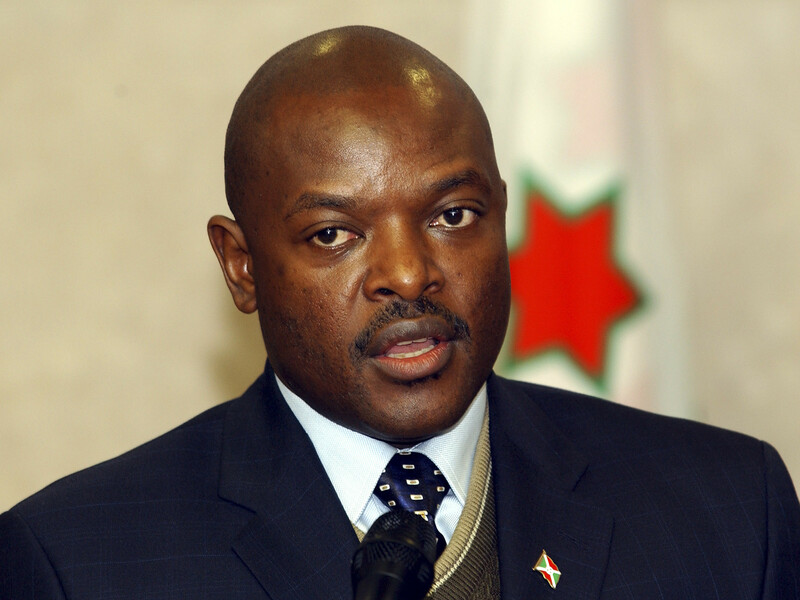 Burundians are opposed to president Nkurunziza vying for a third term after he was nominated by his party. The outcome of the coup remains unclear while fighting rages on in Bujumbura. Heavy gunfire was heard early on Thursday morning near the radio and TV station in the capital, Bujumbura, Reuters news agency reports. There has been mounting unrest in Burundi since President Nkurunziza, who came to power in 2005, announced he was seeking a third term in office – apparently in contravention of the constitution. A Reuters witness reported a journalist at the state broadcaster had said there was still heavy gunfire being heard around the state television and radio station in the capital on Thursday morning. Two private radio stations and a television station were attacked by unknown men in police uniforms. The two stations were among those that carried Major General Godefroid Niyombare’s announcement on Wednesday that he had sacked Nkurunziza.